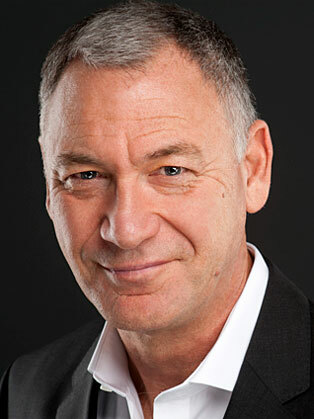 Over the last 30 years, Shaun Smith has built up a wealth of practical experience with organisations throughout Europe, Asia Pacific and the US, working with senior executive teams on key issues such as brand strategy and implementation, leadership, customer experience and organisational alignment. Shaun has worked within a diverse range of sectors, including both business-to-business and business-to-consumer organisations. These include retail, telecoms, travel, leisure, professional and financial services, technology, automotive, manufacturing and the public sector. Uncommon Practice people who deliver a great brand experience - researched and written in partnership with Interbrand, examines those companies that create exceptional customer experiences. Managing the Customer Experience – turning customers into advocates’(co-authored with Joe Wheeler) reveals how leaders can build this kind of competitive advantage for their own organisations. See, Feel, Think, Do–the power of instinct in business - (co-authored with Andy Milligan) explores how highly successful business leaders and entrepreneurs use the power of instinct to achieve results. Shaun is also contributing author to The Economist’s Brands and Branding and author of the Organisational Alignment Survey (OASTM) and the Customer Experience Management+TM survey (CEM+TM) - research tools that enable organisations to evaluate and improve their customer experience and align their people with company values and strategy. Shaun returned to the UK in the late 1990s as Senior Vice-President of the Forum Corporation, when he ran Forum’s customer experience consulting practice. Shaun now runs the highly regarded customer experience consultancy, Smith+co, which is firmly rooted in the ‘keep it simple’ ethos. Smith+co has worked on customer experience initiatives for leading brands like Burberry, PayPal, O2, HSBC and IHG. Shaun has featured a number of times on CNBC and CNN and is sought after to speak internationally on key business issues. He is a Fellow of the Professional Speakers Association and a Member of the Global Speakers Federation. Shaun was recently presented with the PSAE (Professional Speaking Award of Excellence). He has also appeared a number of times at the prestigious London Business Forum. His approach is refreshingly simple, authoritative and always stimulating. So effective, we signed him up for further thought-leadership events. The audience reaction was overwhelming. I think the greatest testimony to Shaun's presentation is in the scorecard: never before have we had a speaker whose rating has consistently gone off the end of the grid. Your well chosen case-studies and thought-provoking insights gave the team the perfect stimulus for some really beneficial discussion and debate. I’ve had very positive feedback from the team on your presentation and workshop; your contributions have certainly helped to drive a new way of thinking about how we interact with our clients at London Stock Exchange Group. You clearly spent a lot of time getting to know our business and markets, in preparation for your presentation, and your time is very much appreciated. Thought provoking and from my perspective extremely helpful; it has already changed my thinking about an MIA Council agenda that I have been planning! The feedback on your presentation, both at the event and still coming in, has been exceptional.